Valeo has promoted long-serving executive, Christophe Perillat-Piratoine, as its new chief operating officer, the company said in a statement. The French auto parts supplier Valeo, best known for its emissions-reduction systems, said Perillat-Piratoine would take up the position on March.1. He will replace Luc Bleriot, who is retiring after holding the position since 2005. Perillat-Piratoine began his career with the company in 2000 as a division general manager and has worked in a number of the company's branches. Since 2009, he has been head of the firm's comfort and driving assistance systems business group. 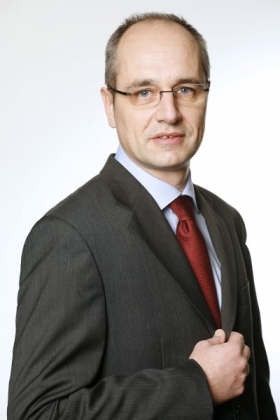 He will be replaced in this role by Marc Vrecko, who is currently vice president abrasives Europe, the statement said. development of the driving assistance activity, will actively support the Group's sustainable growth and profitability,'' Valeo CEO Jacques Aschenbroich said in the statement. Bleriot joined the Valeo Group in 1993 as a division general manager before being appointed vice president of the climate control branch. He was responsible for managing the group's electrical/electronics branches before being appointed chief operating officer in 2005.